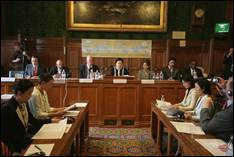 The world survived the Day of Judgment predicted by some on Saturday, May 21, 2011, but not without the Reverend Sun Myung Moon proclaiming a new heaven and a new earth and exhorting his worldwide congregation to follow his path into a new historical era that will begin formally in 2013. In one of numerous asides from prepared remarks, Rev. Moon alluded to the possibility that the world could be destroyed by nuclear warfare. 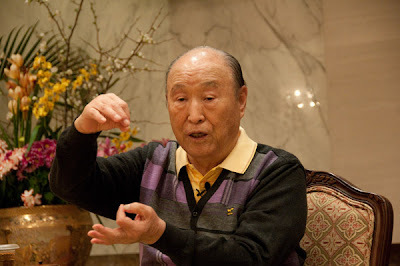 He noted that “there are enough nuclear weapons worldwide to destroy the world’s population many times over,” but explained that spiritual awakening is needed in order to prevent nuclear catastrophe. On the whole, the Founder’s speech expressed optimism. Las Vegas, often dubbed “Sin City,” drew several references in his speech. In his view, Las Vegas is both worse than Sodom and Gomorrah and yet precious to God, because it has the potential to become a thriving center for marital fidelity, as well as families seeking entertainment and the riches of ecological wonders nearby. “Las Vegas is a very precious place. We will see if I am able to change it,” he said. 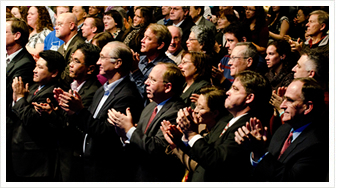 Ministers of several Christian denominations were on hand, including Rev. Dr. Stephen Thurston, president of the National Baptist Convention. Dr. Thurston gave the invocation in which he thanked God for making Rev. and Mrs. 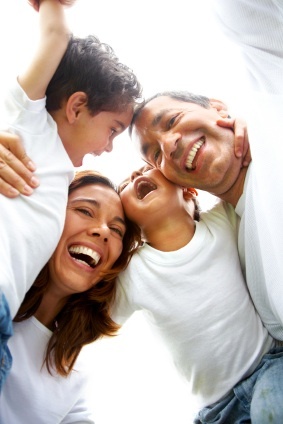 Moon “True Parents” and making them models of love for mankind. The Origin of Peace is God by Dr. Hak Ja Han Moon. Speech from her speaking tour in the USA, September 16, 2002, Washington DC. 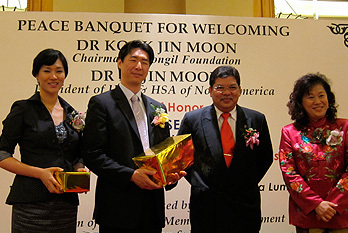 The Nation and World of Peace Sought by God and Humanity by Dr. Hak Ja Han Moon. Speech from her speaking tour in Korea, Japan and the USA, November 7, 2001. YFWP co-founder's address - Mrs Hak Ja Han Moon Co-Founder and Co-Chairperson's Address by Dr. Hak Ja Han Moon at the inaugural ceremony at the founding of the Youth Federation for World Peace July 26, 1994 Omni Shoreham Hotel, Washington DC. True Parents and the Completed Testament Age Mrs. Hak Ja Han Moon. This speech was given in 44 countries during Mrs. Moon's 193 world speaking tour. The Central Role of Women in the Ideal World, Mrs. Hak Ja Han Moon, President, Women's Federation for World Peace, August 23, 1992. 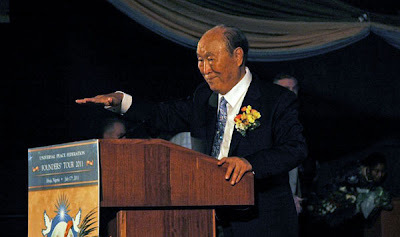 Blessed Marriage and Eternal Life, Address of Dr. Hak Ja Han Moon delivered on her behalf at the American Leadership Conference, Washington DC, Speaking Tour, Spring 1998. The Path of Life for All Humankind, Address of Dr. Hak Ja Han Moon, Washington Times Arbor Ballroom, Washington DC, March 19, 1999 and throughout her speaking tour, March - April 1999.